Bloomberg writers Shruti Singh and Lydia Mulvany reported on Tuesday that, “Cattle ranchers who quickly expanded their herds after a prolonged Texas drought now have become their own worst enemies. Meanwhile, with respect to consumer meat preferences, Wall Street Journal writer Jacob Bunge reported earlier this week that, “U.S. food regulators need to take further steps to curb antibiotics use in livestock to maintain the drugs’ ability to defend human health, according to an advocacy group. “By early next year, animal drugmakers have agreed to abide by U.S. Food and Drug Administration guidelines to stop using antibiotics used in human medicine to help livestock and poultry gain weight faster. Some antibiotics had been used for that purpose on farms for decades, alongside treating and preventing disease. 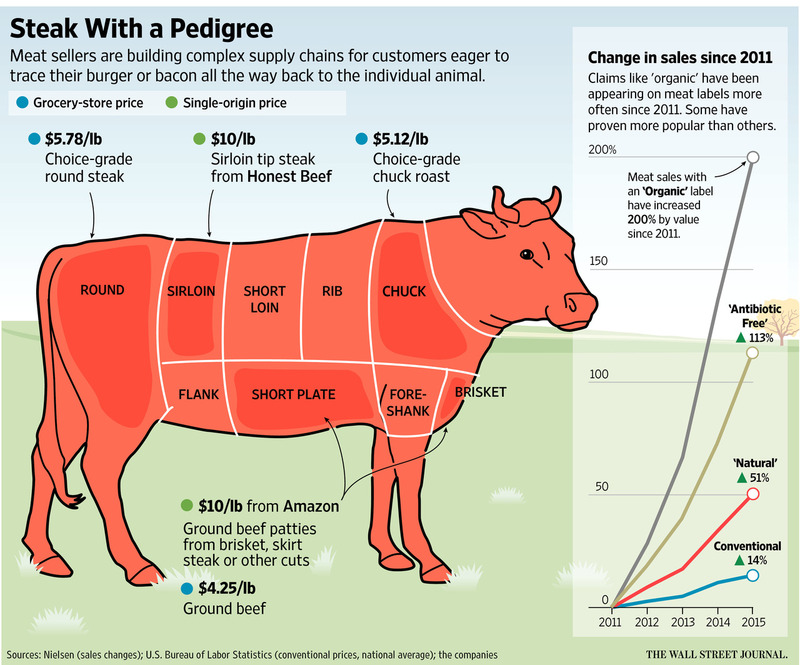 Lastly, Kelsey Gee and Heather Haddon reported in today’s Wall Street Journal that, “In grocery store cases stuffed with exotic grass-fed and organic meats, new ‘single-origin‘ cuts are taking the local food craze to new heights.